A neighbor saw my 1976 MGB and said, "Nice car. 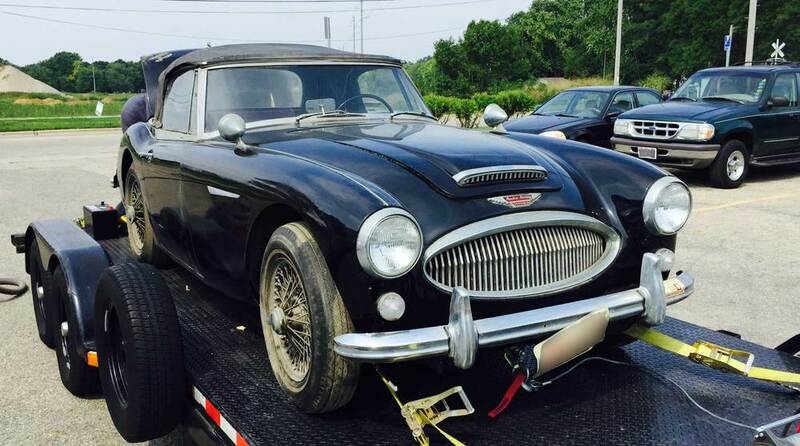 I have an Austin-Healey, 1965 3000. Been in storage for 40 years, haven't seen it for 30". I told him if he was ever interested in selling I would be interested. Next time I saw him he said, "Sooner rather than later". A week later he told me he had gone to see it in storage "had to cut the lock off and pry open the overhead. Over thirty years, ya know. Looks pretty good, but I have to warn you the tires are flat." Well, long story short it is now mine and a picture is attached of the car in storage the first time I saw it. And in fact the tires were flat.